The weather is warming, flowers are blooming, and cuddly critters are leaving their nests. 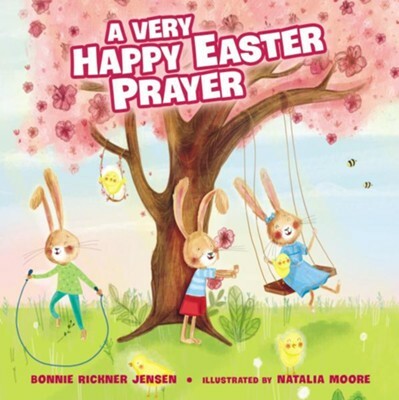 Join the adorable woodland animals as they thank God for all the blessings of Easter. This board book features die-cut around the shape of a dogwood tree with tons of sparkle and glitz, making it a beautiful way for parents to help their children celebrate the resurrection of Jesus. I'm the author/artist and I want to review A Very Happy Easter Prayer.